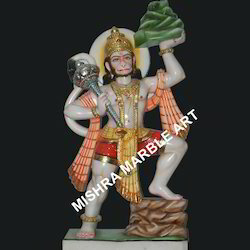 We bring forth for our clients a range of creatively crafted marble standing Veer Hanuman Ji Moorti. The statue depicts the god holding his gada in one hand and offering blessings with the other. Our artisans take every detail into consideration while designing our range. The professionals take packaging details into consideration during transportation of the consignments. 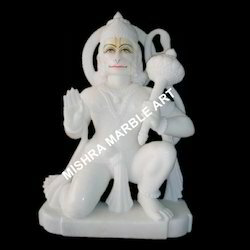 Available with glossy finish and fine carving our Colored Veer God Hanuman In White Marble Statue are demanded not only in the domestic market but in international arena as well. Crafted in white marble stone, these statues are intricately designed. These statues are adorned with subtle usage of colors and various accessories. 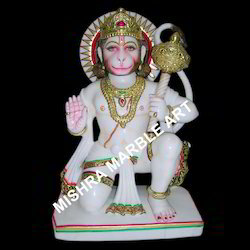 We also offer Hanuman Ji In White Marble Statue to our clients at industry leading prices. These are processed using best grade white marble, sourced from certified vendors. It is ideal for temples and for gifting purpose. Furthermore, we are capable of meeting the bulk demand of our clients within a committed time frame. 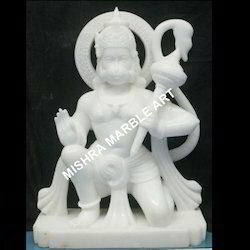 Available with glossy finish and fine carving our Colored Veer God Hanuman on based of hanuman chalisa In White Marble Statue are demanded not only in the domestic market but in international arena as well. Crafted in white marble stone, these statues are intricately designed. These statues are adorned with subtle usage of colors and various accessories. 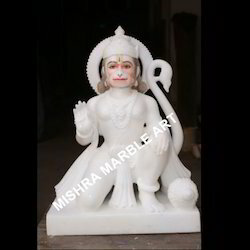 We are processors, suppliers and exporters of a wide range of White Marble God Hanuman Ji.these statues are completely white and crafted using advanced technology. Our designers and professionals are very experienced and help us to offer exclusive statue to our clients. Furthermore, with the help of our experts, we offer our range at competitive prices. 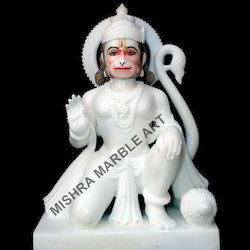 We hold expertise in designing Colorful God Hanuman In White Marble Statue. Finely polished and elegantly designed these structures are offered st industry leading price rates. Further to meet the specific design requirement of our clients, we offer a range of customized products to our clients. 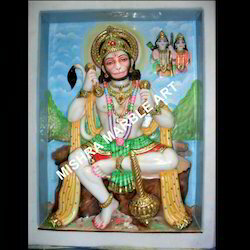 We also provide the statue of Hanuman Ji to our clients at reasonable prices. These are processed using best grade stones, sourced from certified vendors in the market. These are available in completely white and acknowledged for the fine finish and high accuracy. Our range is also ideal for gifting purpose. We bring forth for our clients a range of creatively crafted Relief Hanuman ji. The statue depicts the god holding his gada in one hand and offering blessings with the other. Our artisans take every detail into consideration while designing our range. The professionals take packaging details into consideration during transportation of the consignments. 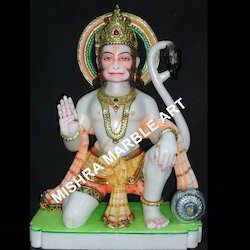 We hold expertise in designing white marble Hanuman Ji. Finely polished and elegantly designed, these structures are offered st industry leading price rates. Further to meet the specific design requirement of our clients, we offer a range of customized products to our clients. 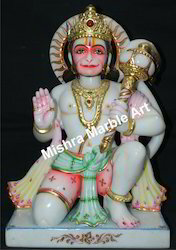 We bring forth for our clients a range of creatively crafted marble sitting Hanuman Ji Statue. The statue depicts the god holding his gada in one hand and offering blessings with the other. Our artisans take every detail into consideration while designing our range. 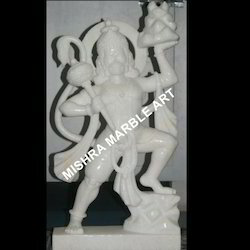 We provide color marble hanumanji idol to our clients as per their requirement. In this statue the lord is showed in a kneeled down position with his right hand in a boon giving gesture. The statue exudes an aura synonymous to lord hanuman himself. These colorful statue is acknowledged for the high finishing. Looking for God Hanuman Idol veer hanuman bajrangbali salasar hanumanji ?